Kings Place Events is to renovate the popular Battlebridge Room this summer, and is due to re-launch in September to celebrate its 10th anniversary in October. The Battlebridge Room is a beautiful space with floor to ceiling windows and picturesque views of the Regents Canal, along with its own private terrace. The room is perfect for a range of events from meetings to product launches, and weddings to Christmas parties. 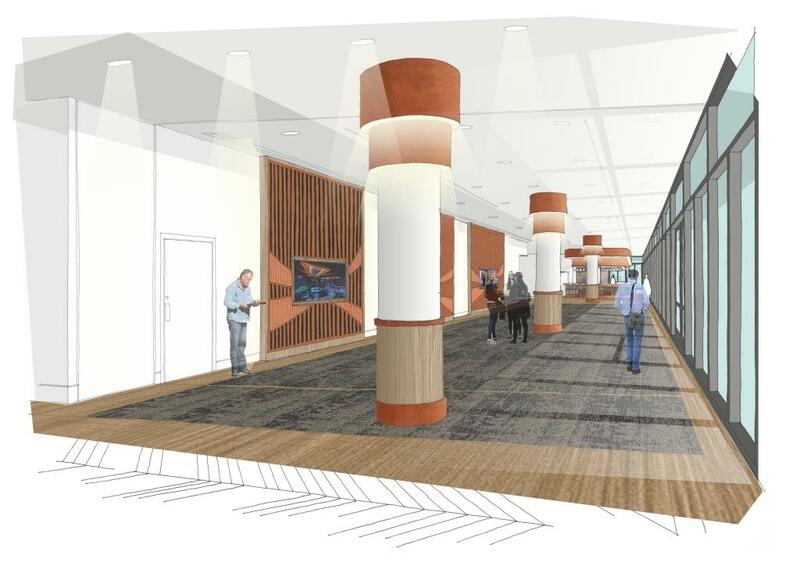 The refurbishment will add more features to the space, new key additions will include a built-in timber dance floor, a fully controllable lighting system with colour changing capabilities, three 75 inch digital screens, and a new reception area and cloakroom facility. The redesigning includes feature wall panels of fret cut metal with a copper metallic finish, set in an oak surround, which is also reflected in a new bar with the same copper fret cut metal and a reconstituted stone grey marble-look bar top. The pillars in the room will also become feature items with oak slats at the lower levels and metallic copper feature lights above. The space will reopen in the first week of September. Existing capacities of up to 400 guests for a reception, 220 for a dinner and 100 theatre style will remain the same. 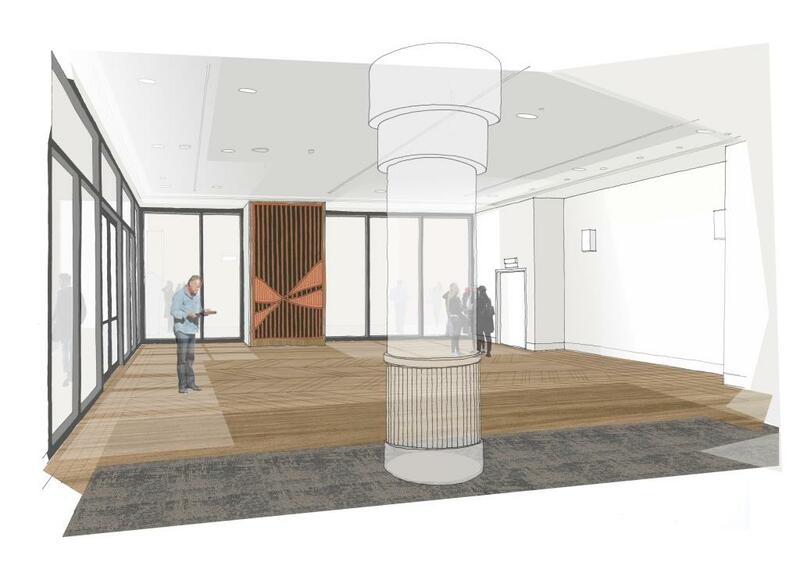 The renovation is part of a broader investment in excess of £1.5 million by Green & Fortune to celebrate the 10th anniversary of both Kings Place and Green & Fortune and will also include the refurbishment of Rotunda Bar and Restaurant, located on the ground floor of Kings Place. 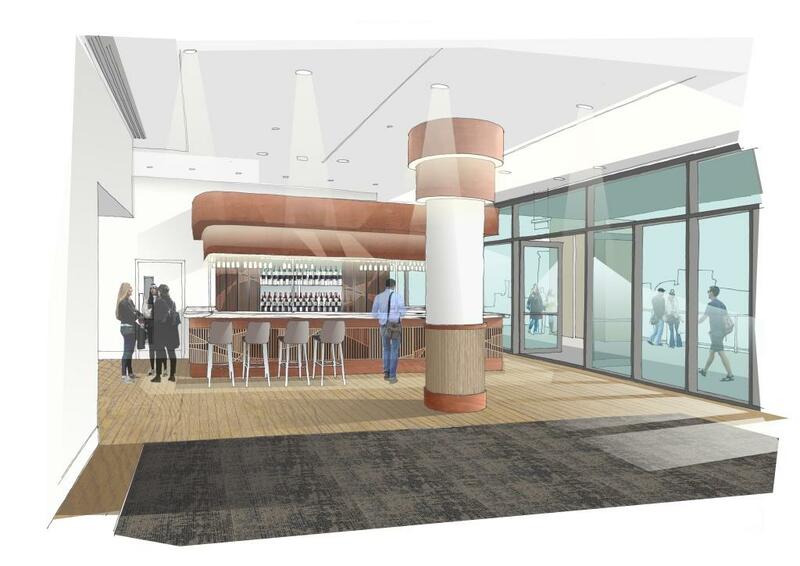 Along with the redesigning of the Green & Fortune Café, located in the atrium area of Kings Place. For more information on this venue or any other London venue contact us.